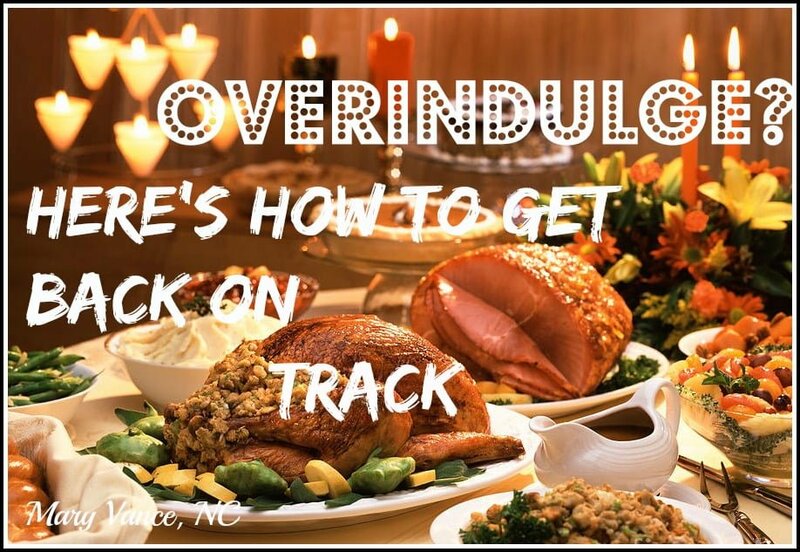 Did You Overindulge? 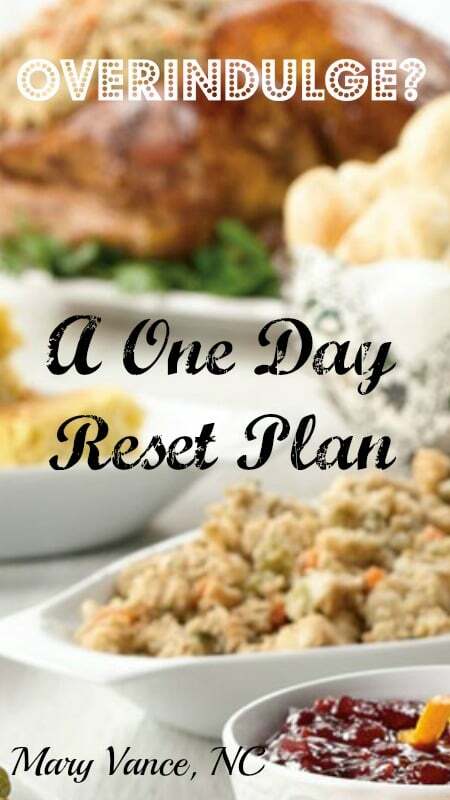 Here’s a One Day Reset Plan to Get Back on Track. Thanksgiving has passed, and here we are knee deep in the holidays. I felt inspired to write this post as I was scrolling through Facebook, reading the laments of friends who’d eaten too much and were self loathing. Many said they’d repent on Monday (following Thanksgiving), swearing juice fasts or just plain starvation. A few mentioned poor digestion, bloating, and sluggishness. The holidays mean overindulgence for a lot of us, and there’s nothing wrong with enjoying food, friends, and family this time of year. 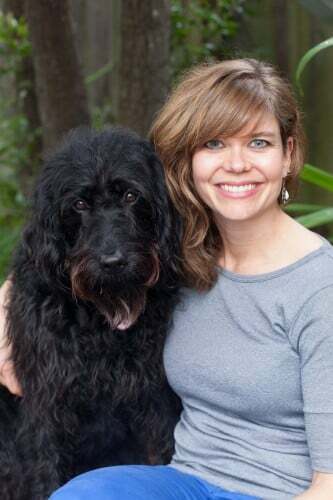 But before you take a spin on the shame spiral after overindulgence, understand that you haven’t done irreversible damage, and you can easily get back on track to feel better in as little as one day with this recovery plan.No starvation needed! You can use this one day reset anytime you’ve eaten (or drank) too much. Follow it up with normal healthy eating and plenty of water. If you keep up with your typical regime of exercise and healthy eating–making sure to include plenty of gut supporting superfoods–you can escape the holidays no worse for the wear. *If you step on the scale on the Monday following Thanksgiving or after a big holiday meal (recommendation: don’t) and freak out because you’ve gained 5 pounds, relax. It’s probably water retention and inflammation, not true fat gain. Keep in mind it takes a full 3,500 extra calories to gain a single pound. So, it’s unlikely that you consumed 17,500 EXTRA calories in a few days (meaning in addition to your basic caloric needs). It’s not true fat gain, just water weight. It’ll go away in a few days. *Keep up with regular exercise during the holidays. You’ll get your lymphatic system moving, burn off some stress hormones, and get that glowy look! And you can eat more! *Holiday weight gain is not a result of a few indulgent meals. It’s more about the extra candy and cookies and treats around the office that you tend to grab here and there without thinking every day. And the extra drinks you might be drinking at parties or nights out. Be mindful about what you grab and how often you grab it. Be aware also that once you start, it’s hard to stop (and easy to say oh well, I’m already off the rails, might as well eat everything around for the rest of the day), and repeating this cycle over the course of 4-6 weeks is what causes fat gain. *Don’t deprive yourself and skip meals to repent, or “save up” for big meals. This always backfires and can trigger binge behavior. *Make a strategy if you need to, and stick to it. For example: only eat dessert after fancy dinners; drink mocktails during the week and save the wine for the weekend parties (if at all; wine adds to increased appetite, sugar cravings, and bad decisions! ); only indulge in the office treats X times per week; commit to X spin/yoga/pilates/15 minute walks per week. *Finally, remember that losing control for one day–or even three– doesn’t mean you’ve totally lost it! You can easily just start over and get back on track. I so often see people get discouraged because they had one (or a few) bad days, and they throw in the towel because they think they messed up. You didn’t! Just start over. You can always start over, wherever you are. 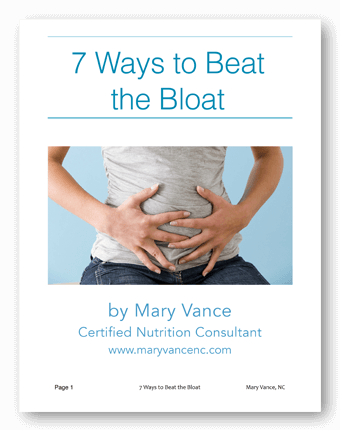 This plan will reduce bloating and cravings and increase energy and clarity. It’s also a “reset” for your digestive system, designed to ease constipation (if you have diarrhea, take this probiotic, 1 every hour, during the day). Follow the one day plan with a plant-based diet (meaning the bulk of your meals should be vegetables of all kinds) that includes protein of some type (organic meat, eggs, or legumes) at each meal, and plenty of water and teas to rehydrate. Include fermented foods daily to support digestion and healthy gut flora (which also supports immune health). Or try a shot of this coconut water kefir daily. Game plan: on this day, you’ll be avoiding gluten and grains, dairy, sugar, alcohol, refined salt/packaged foods, cured meats. These foods encourage inflammation and water retention. Always use unrefined sea salt! You could also go vegan for the day and focus on veggies and legumes for protein, but legumes may cause even more bloating in some people. When you wake up, do 8-12 oz hot water with the juice of 1/2 lemon and pinch of cayenne. This is an excellent detoxing and alkalizing tonic to encourage bile flow that promotes a good poop and stimulates the liver. At the very least, drink a glass of room temp water upon waking to rehydrate. You can also do a hot cup of turmeric tea. Green tea is a great option too. Breakfast: my healing smoothie with vegan protein, blueberries, and a handful of spinach. Get the full recipe with the rest of the ingredients here. Cup of green tea or roasted dandelion root tea (excellent natural diuretic + great for liver detox). Mid-morning: go for a walk or do some burst training (or whatever exercise you like). You can also exercise first thing in the morning after the lemon water but before breakfast, which is my preference. That way, it’s done for the day, AND it boosts energy. Before lunch, and dinner, drink a teaspoon of apple cider vinegar in a little water. You can do this before any meal to improve digestion and relieve heartburn, and it’s a great detoxer. It stimulates hydrochloric acid production so you break down food better. Bonus: it lowers blood sugar, which can be elevated after too many sugar binges, and these unstable blood sugar levels make you hungrier. *Lunch: big green salad with plenty of mixed greens, chopped veggies, garbanzos or smoked salmon on top. Cup of peppermint tea, which is excellent for bloating or an angry gut. *Afternoon: take a nap if you can! Get a green vegetable juice with ginger. It helps if cucumber is a main ingredient, as it eases water retention. Here in San Francisco I like Project Juice, or Evolution brand Essential Greens is available at Whole Foods and some major grocery store chains. My favorite blend is green apple with kale, parsley, celery, cucumber, spinach, lime. You can also do a probiotic drink like this coconut water kefir. *Dinner: Protein (choose a lighter protein like wild salmon or chicken legs over red meat. For veg option, choose lentils, which are packed with protein and fiber) with roasted beets, carrots, and sauteed spinach. Add raw kraut if you have it. 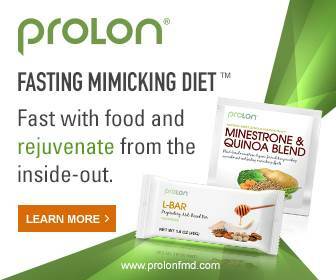 It contains enzymes to help you digest and probiotics for a happy belly. Beets and carrots are excellent for the liver (and delicious roasted!) and spinach helps alkalize the system. *Before bed: a cup of roasted dandelion root tea, yogi detox tea, or my turmeric tonic, which is an excellent anti-inflammatory and sleep aid. Take 500 mg of magnesium if you’re constipated. It’ll get things moving + it promotes restful sleep. *Bedtime: get a full 8 hours. Here are some tips for help. If you want an even more detailed, 21 day detox program, check out my book, 3 Weeks to Vitality! It’s a food-based liver cleanse, great for fat burning. 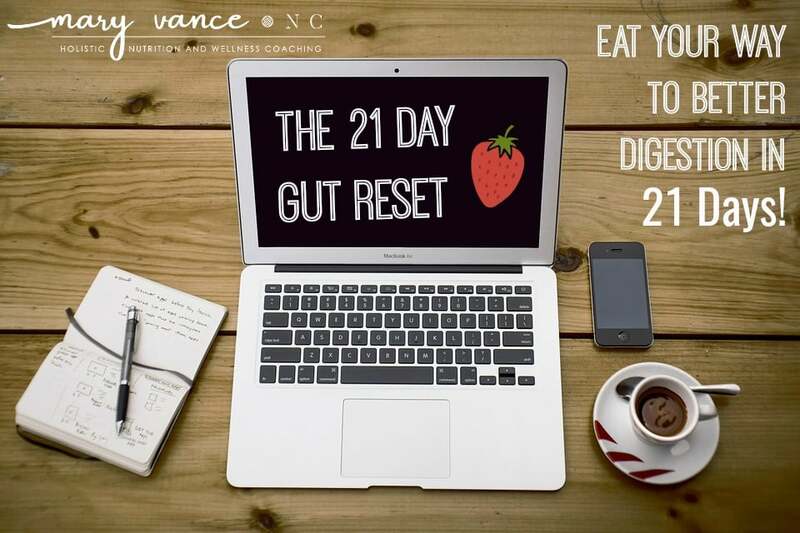 If your GI tract is bothering you, click here for my 21 day gut reset. I take this digestive enzyme before celebratory meals. Helps break down protein, fat, and carbs. This supplement is formulated to help reduce the effects of gluten sensitivity by supporting complete digestion of gluten. Combats inflammation caused by gluten and supports intestinal barrier. These lozenges are great to combat heartburn (take them to soothe burning). Freshly grated ginger tea relieves bloating and nausea fast, and it’s also a pro-kinetic agent (relieves constipation). Grate 1 tbsp ginger into a mug, add hot water, steep 5-10 minutes, strain and drink. A few drops of peppermint oil or an essential oil blend with fennel, peppermint, and ginger applied to the belly really helps. I use Young Living’s Digize blend. A probiotic will support digestion and immune health all year round. In addition to a supplement, get fermented foods or drinks (I especially like and recommend this coconut water kefir). Top 5 Gut Healing Foods (and Why Bone Broth is NOT on This List) Rethinking the Candida Diet What is the Best Diet for SIBO?